Garden can be considered as one of the most important aspects to determine your house’s appearance. 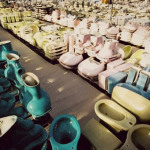 For people who have garden, it is important for you to take care of your garden carefully. To add beauty aspect to your garden, you need to design the landscape. 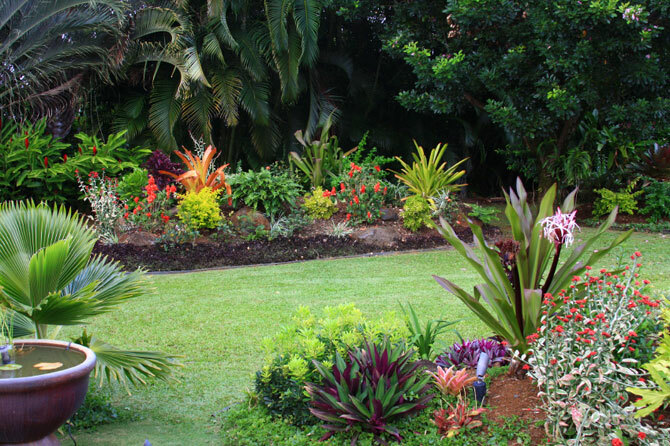 In finding the best design for your home landscape, you are recommended to apply tropical landscape designs. 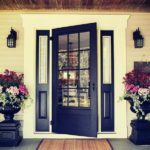 These designs are able to add atmosphere of warm breezes at your home. 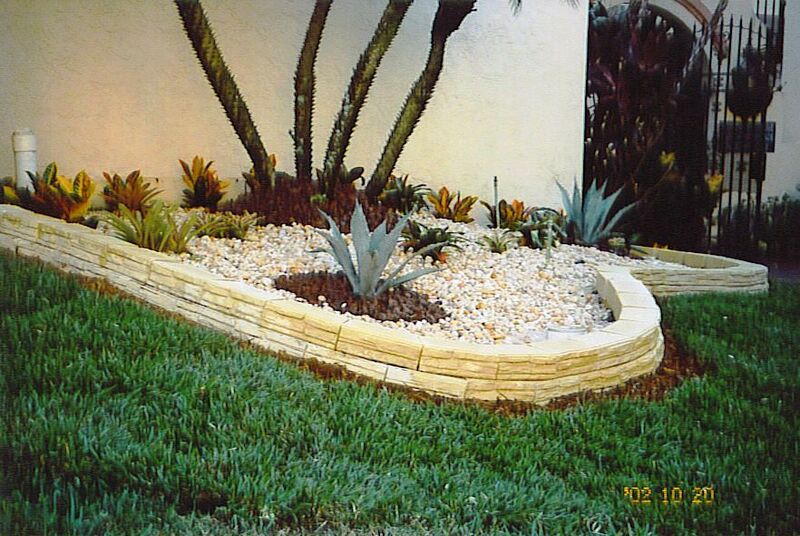 When you are planning to apply tropical landscape designs, you can start with rock garden. First, you need to lay your rick garden with wide and sweeping curves. Avoid straight lines. By doing this, you will be able to get gentle and flowing feeling. Be creative. You might not want to use simple gray rocks. It is a good idea to apply some colors on the rocks and use combination of some stones and rocks. If you are living in tropical areas, you are recommended to get some plants like palms and leafy, evergreen shrubs. People who are living in temperature zone, it is still possible for them to capture the tropical feeling. You just need to choose some plants which have large leaves. Some plants which can be your consideration are including elephant’s ear and hostas. 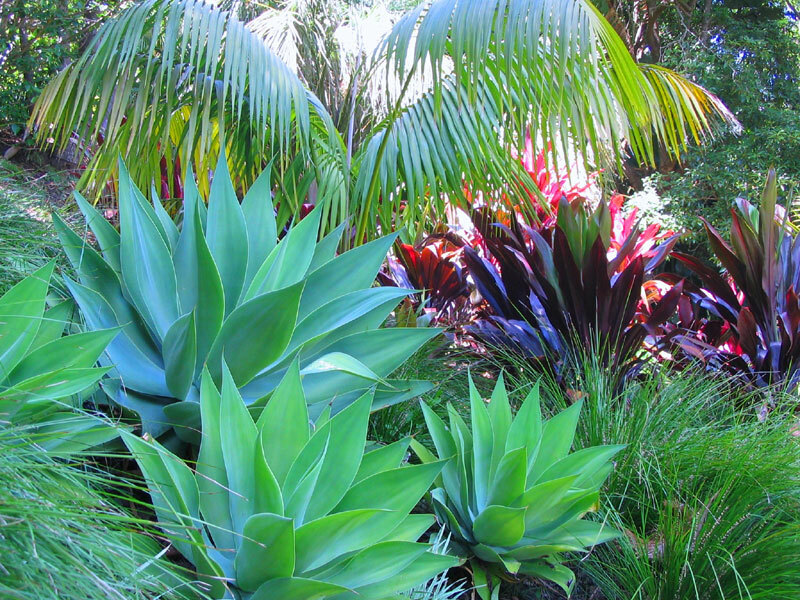 These plants will thrive in more temperate areas but still resemble tropical plants. In applying tropical landscape designs, you also need to decorate the walkways. 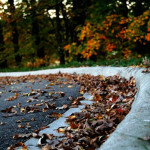 You are recommended to apply more natural looking materials on your walkways. These natural materials are suitable for tropical landscape. Some natural materials for your consideration are crushed rock, sea shells, and sand. These materials are good alternatives for brick or stone. 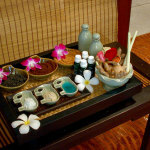 By using those natural materials, you will be able to create illusion of walking through tropical garden. Another important aspect in tropical landscape designs is the plants. A popular option chosen by many home owners for tropical theme is palm trees. There are some varietis which can thrive in temperate climates. For people who are living in cooler temperatures, they might want to get Mazari palm which is shorter palm trees. Another plant option for coller weather option is Chinese windmill. This palm tree takes time to reach the full height which is more than 40 feet. To add some colors, you can add canna lilies or orchids.
. If the outdoor temperature is appropriate, you might want to include fish. However, if your landscape is smaller, you might want to add container fountain among some of decorative plants and flowers. You can transform terracotta or stone planters outfitted with a pump into fountains. These can be good option for your garden since it adds relaxing sound of running water without high maintenance. Tropical landscape designs are determined with those aspects above. Make sure you choose the proper combination for your garden. Even though it is tropical, you should not focus on the plants only. You might need to combine the plants with the flowers. Create the balance in your garden so it creates warm not wild atmosphere in your home.